Craig McGee is one of the more accomplished guides in Canada. 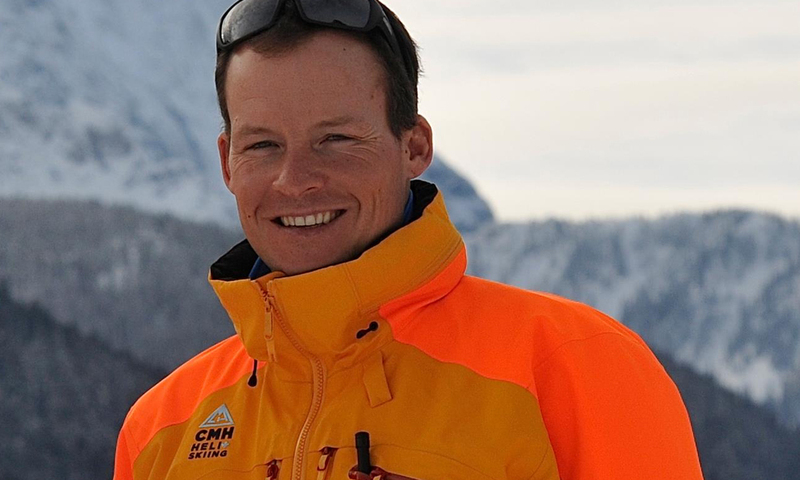 He first started guiding at the age of 20, and became fully certified by the Association of Canadian Mountain Guides (ACMG) as a mountain guide at 27, an astonishing feat at such a young age. Now the area manager for CMH Nomads, McGee calls 1.2 million acres of terrain his office. 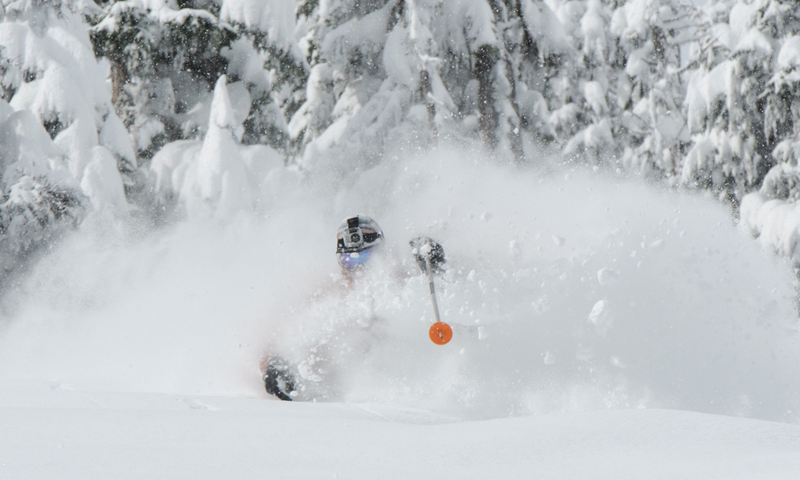 We caught up with McGee to talk about life at CMH Heli, and what it takes to become a mountain guide. How do you become a mountain guide? It’s hard. Really hard. Usually you have to gain around 10-15 years experience before you are accepted into the CMSG (Canadian Mountain and Ski Guide) program. These courses and exams take around 5-10 years to complete, then you can become a member of the ACMG.Once you have gone through all of this then you can look at getting a job. And you accomplished all this at a very young age? I became a mountain guide at 27, which is pretty young. Most guides finish getting certified when they are well into their mid 30s. At 38, I’m a fair bit younger than many of my coworkers that run other heliski lodges, most of them are 10-15-plus years older than me. I’m lucky, I started building the experience I needed when I was really young and I was fortunate to have some of the best guides in the world as my mentors. For me it was such a passion. I couldn’t believe I had found a job doing what I loved, and being out in some of the most amazing mountains in the world with such great people. I’ve guided all around North America and Europe and also climbed and skied in South America, Patagonia and the Himalayas. How did you get involved with CMH? Getting a job with CMH is pretty difficult. 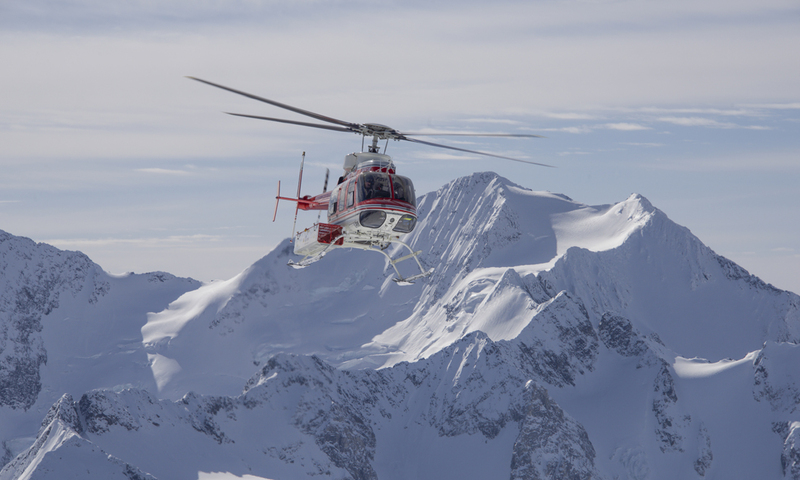 CMH was the first heliski company in the world and it’s the largest with 11 different lodges and 3.2 million acres of exclusive ski terrain. Due to its mythical status it attracts the best guides, so getting in and staying in can be very difficult. Many guides don’t make the cut, but luckily someone believed in me and gradually with mentoring from some of the most talented guides around, I made it and am very proud to say I work for such an amazing company and such a talented team. This upcoming winter will be my 15th year working for CMH. I first started as a guide, then lead guide, (when you run the days heliski program) then assistant area manager. I’ve gained a lot of experience along this road. I was fortunate to be the previous vice president of the ACMG, member of the ACMG technical committee, examiner and instructor for the CMSG and ACMG guide programs at Thompson Rivers University. It’s a pretty prestigious thing being involved with the CMSG courses. There are not a lot of guides out there that have the honor to be involved with these programs and there is a lot of responsibility, but mostly it is just great being involved with the process and being able to help pass along the torch to the new and talented guides. Finally all this experience got me the job of area manager of CMH Nomads. Tell me more about Nomads. The Nomads program is a little bit different in that I don’t have one specific area to ski in. Other heliski areas have one set area; I actually go out to five different areas. That’s why it’s called Nomads. We roam. I get to guide one private group of 11 skiers through 1.2 million acres of the 3 million acres that CMH has exclusive use of. That’s access to terrain 10 times the size of all the ski areas in North America combined. There is so much amazing skiing to be had. Alpine, glaciers, sub alpine bowls and amazing world famous tree skiing, there is terrain for every skier on the planet. Do guides live on site? Yeah, we live there with the guests, so we’re there for them 24-7. Most guides that work with CMH will work two weeks on, one week off. That must take a toll on your family life. Well, every job is hard, but being a guide and being in a relationship is very hard. You spend a lot of time away, you have a lot of different stresses that other may not have. So I’m very lucky I was able to meet my wife through CMH, and it sounds corny, but it’s a match made in heaven. She’s quite an accomplished guide as well, and actually guides at one of our expert areas. We get to work together a whole bunch, so it’s great. What’s a day in the life of a mountain guide? The guides get together for two hours each day, one hour before skiing and an hour after. During these meetings we look at the weather conditions, avalanche conditions, discuss the guests’ expectations and then come up with a plan to find best skiing. At the Nomads, it’s the same kind of planning, but we have to think on even a larger scale as we have five areas we can ski in. My day actually starts the night before when I talk to neighboring area guides, ask what they’re seeing, talk to my guests, see what their goals are, then we’ll look at that huge area and determine where the best options would be. After breakfast with the guests, we’ll lift off and head in the direction we think the weather and skiing conditions are the best. 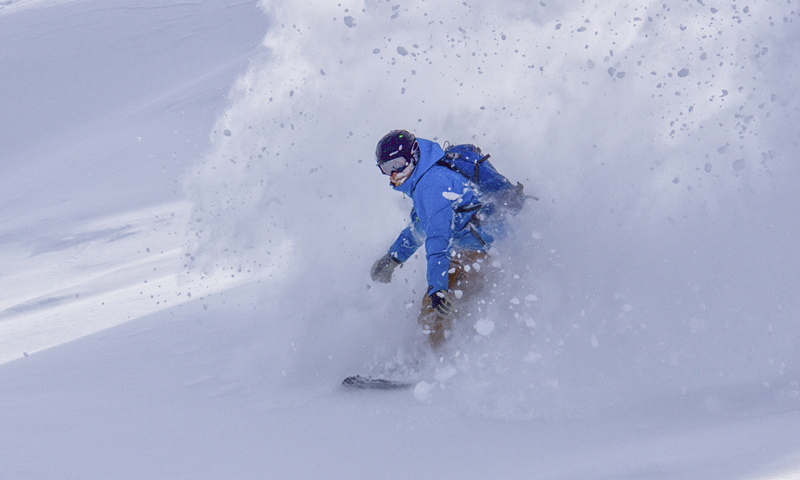 Typically we’ll ski anywhere between eight and six runs, and those runs can range anywhere from 500 to 2,000 metres. So they’re big, big runs. Then we’ll have lunch out in the mountains with the guests. Then keep going until just a little bit before dinnertime, come back to the lodge, have some appies, hit the hot pools, then dinner and repeat. What are three tools you never leave without? My best tool is a sense of humour, but for technical tools, my skis all my avalanche gear and my boots. Definitely three things I couldn’t get by without. A helicopter is handy, too. Sounds rough. So how does one become a guide? It’s a big process. In Canada, there are lots of types of guides; you can become a hiking guide, ski guide, a rock climbing guide. I’m a mountain guide, so that means I’m certified in all those areas, and not limited to one. If you were super quick and never failed anything, which is pretty rare, it would take about six years. Most people take 10-plus years, and that’s just the certification part. Usually people would have to obtain 10-15 years experience just to get into the program. How important is knowing your clients? It’s probably our No. 1 challenge. Basically I try to be really open with the guests. I try to see what they’re like, we go out do a couple runs, find out where they are, what they want to ski and what they say they want to do. Being totally honest is the best. But we figure it out pretty quick. A few runs. Plus our reservations team is pretty good at assessing someone’s skiing ability and fine tuning the experience, which is helpful. I imagine a big part about being a guide is the ability to entertain your guests. 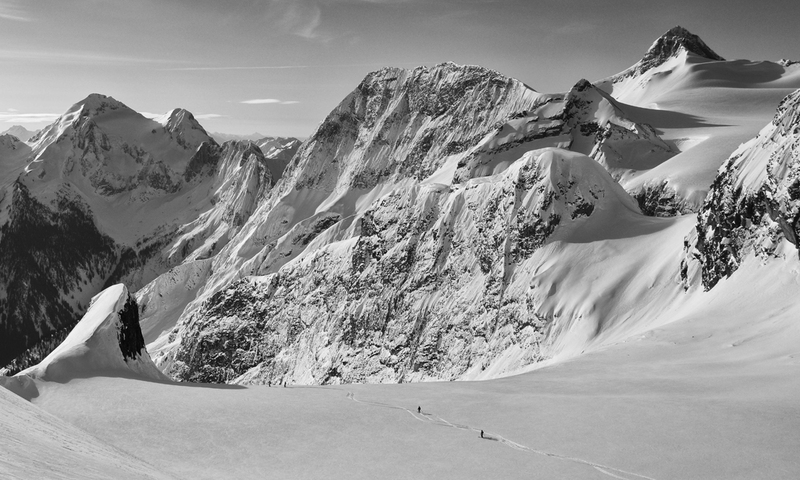 True, without the guests, you’re not a guide; you’re just skiing alone. When I’m helping to train guides I always remind them, “This is a people thing. You’ve got to treat people really well, be a good host”. In the examination world we call this “client care”, its super important. I’ve been doing this for 15 years, and I almost get caught thinking I’m a senior guide, but there are guides who’ve been here for 30 years. And their stories are unbelievable. I mean, you’re the storyteller, the joke teller, and the friend to all these people. You end up building this really unique relationship with not only the guides, but also the guests. What are your biggest fears as a guide? It’s a big wild environment out there; there is an ever-present risk skiing around through this untamed wilderness, avalanches, getting lost or just flying around the mountains in helicopters, but that’s why we train really, really hard and always err on the side of caution. A guide’s number one job is to assess the risk and then manage the risk to an appropriate level. I actually find it way riskier driving to work than skiing around in these mountains. Another fear, although it’s not really a fear, but at the start of every trip when new guests arrive, you want to meet their expectations. With all this terrain and amazing powder it’s usually really easy to meet these expectations, but the pressure is always there. Any advice for someone who wants to become a guide? Just go out there and get the experience. Experience in the backcountry is key. People are always looking for the secret little trick. But there is none. It’s just a lot of hard work. I usually tell people to try to get a practicum. Just go out and hang out with some guides, observing them, getting some mentorship. Then I’d say you’d contact Thompson Rivers University. They have the Canadian Mountain Ski Guide program, which basically is the facilitator for the ACMG courses. TRU is the only place in Canada to offer this program, but once you become a Mountain Guide, it’s recognized internationally. How does a guest best prepare for a trip? The two biggest apprehensions people have, it’s pretty funny because they’re total opposites, people are either worried they’re not going to be able to do it or that it won’t be extreme enough for them. I always tell people if you’re a strong intermediate, this is the best skiing you can do. I go to the ski area, and I have such a hard time there. Ice, moguls, ice, a bit of powder. 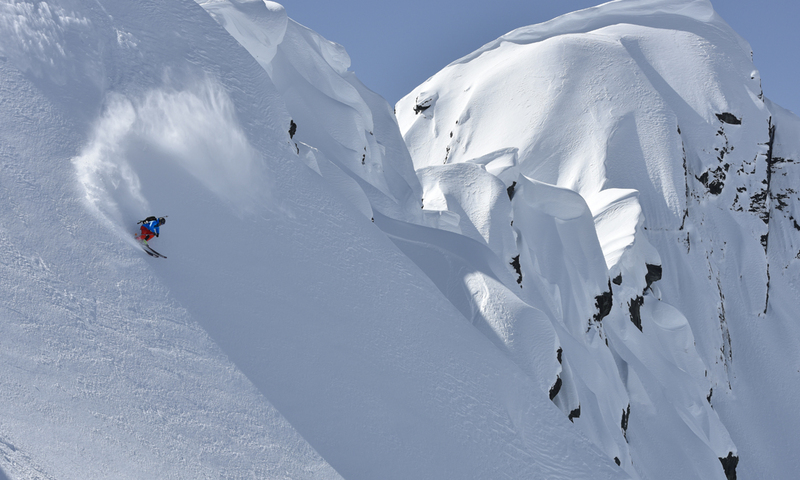 Here, this is the easiest skiing you can do. So leave that apprehension at the door. And on the other end, people worry it’s not going to be extreme enough. But we have the largest ski area in the world. So you can be sure we can do whatever you want to do. I tell everyone, it’s a vacation. Everyone’s got emails and responsibilities, but it’s best if you can just step away from that for a little bit and enjoy your time in the mountains with your friends. Live in the moment. You never stop learning. For me my vision is to keep on getting better, learning more, and progressing within CMH in training and management, while also training other guides.